← Love working with people and numbers? Twenty four cakes !!! 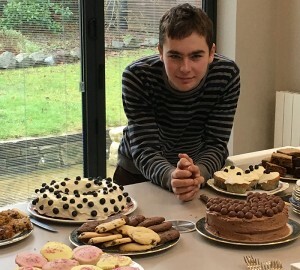 All (bar the odd one) baked by Ruaridh providing everyone who attended his ‘coffee and cake’ day at his Ben Rhydding family home this Saturday a real dilemma of which cake to choose a slice of first. Ruaridh brought the remaining cakes which were sold at the end of the 11am Service – and made a further £108, realising a total of over £500. Brilliant.